Frequent snacks had left teacher and NeoLife Distributor Natalie Duncan unable to fit into her favourite dresses, and this knocked her confidence. Knowing that NeoLife could make a difference, she decided it was time for a change. 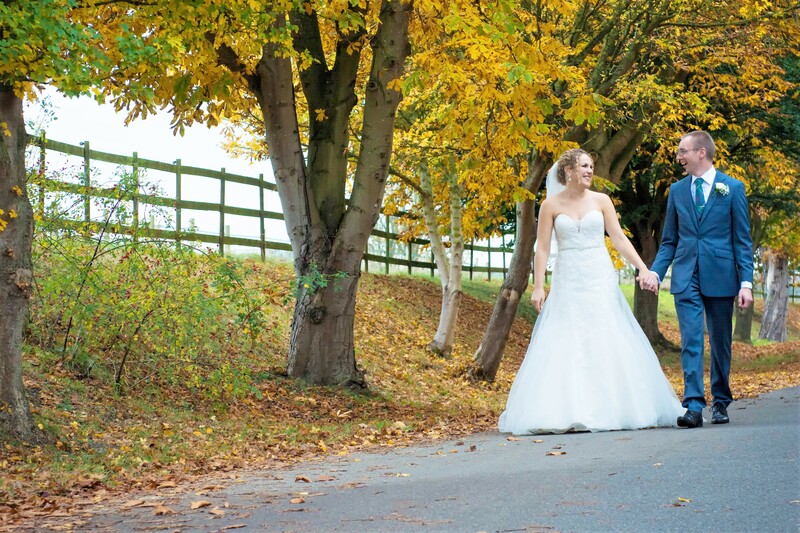 Now, she has lost weight, regained confidence and recently walked down the aisle, feeling fantastic! This is Natalie’s story. “In August 2015, I made the decision to get back in shape and set myself a target to lose 15 kilograms within a year. Knowing the great benefits of using the NeoLife products, I started using NeoLife Weight Management Program again. 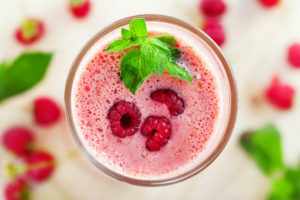 I made sure that alongside the NeoLife shakes and bars, I was eating lots of fresh fruit and vegetables, good carbohydrates, lean protein, drinking plenty of water and exercising regularly. It was so easy to follow, and within 8 months I had already achieved my target of losing 15 kilograms; I was feeling great! The key to Natalie’s success lies in a combination of exercise and good nutrition. Aided by the NeoLife Weight Management Program she has managed to implement a healthy lifestyle that she is able to keep up long term. “I am still following the program, with the goal of losing a few more kilograms and toning up. I regularly attend kettlebell, spinning and circuit classes, which has greatly aided my weight loss. I have also started running and have gone from being able to run for only five minutes to thirty minutes. This has allowed me to take part in a couple of 5k fun runs and a 10k obstacle course run, something I would never have thought I could achieve before. In March 2016, Natalie’s boyfriend proposed to her, giving her even more motivation to stick to the Weight Management Program. Planning a wedding requires a lot of energy! 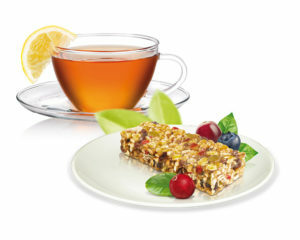 ♥ Always carry a NeoLifeBar in your bag; you never know when you may need it! For any entrepreneurs out there who have a passion for sharing wellbeing… NeoLife is redefining the world of startups. Put simply, it’s like a tech start-up, but with nutrition. There are low barriers to entry because NeoLife provides the infrastructure that any successful business needs, as well as consumable products, and a marketing plan. So instead of having to raise hundreds of thousands of euros to get started, it makes entrepreneurship accessible to everyone. You can own your own NeoLife business and it can be passed down as an income-generating asset to future generations. 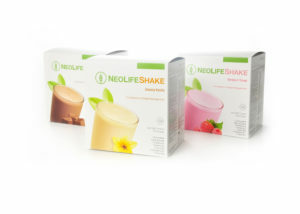 For more information please visit NeoLife.com or call (from landlines only): 0800-145 65 50 or +46 31 706 74 00. We all know that exercising combined with eating healthy is very good for our bodies and our wellbeing. However, many of us sometimes feel like there isn’t enough time during one day to maintain this lifestyle. How can we solve that problem? Well, if you don’t have time to make a nice salad, add fruit or necessary nutrition to your meal, NeoLife offers an easy solution to that problem. By taking food supplements such as Pro Vitality+, you can complement some essential nutrition you might have missed in your meal. But what about finding the time for exercising? One solution is to find work-out opportunities in your daily routines. We have listed a bunch of tips you can use to get your daily exercise, while doing your daily obligations. First of all, why should we exercise? The benefits of exercising extend beyond just what it does to our body’s appearance. Exercising increases our overall energy level, it can help improve self-esteem, boost the immune system, stimulate the brain and suppress anxiety. If you don’t find the time to go out for a run, or go to the gym, there are small and easy ways to make exercise into a daily habit. Do not underestimate the little exercises. Just raising your heels is a great exercise to get the blood flow going and prevent swollen legs. And you can do anywhere – on the bus stop, in front of the TV or at work. -Sit on your chair and tighten the gluteal muscles for ten seconds, relax and then repeat nine more times. -Lean against the desk and do some pushups. -Exercise the abdominal muscles by sitting in your chair and lift one leg at a time straight up. And remember, while doing all this: keep your back straight! A quick walk at your lunchbreak is an excellent work-out opportunity! Vary your walking so you will not get tired of the surroundings too quickly. To make it a little bit more fun, ask a colleague to join you, or download one of the many fitness apps available for smartphones so you can easily log what you’ve done during the day. High-intensity training is a very effective work-out to burn calories and get your bloods flowing. But you don’t have to go to the gym and take “high-intensity” group classes, you can simply apply the technique every time you have an errand. Let’s say you are going to pick up your kids at school, or are walking to the bus stop. Instead of walking in the same pace, try to switch between walking very fast and then slow down to normal pace, and then speeding up again. Interval training involves taking out the maximum for a short period, and then rest for a little while, and then you walk on the high-intensity again and repeat. Your walk to the bus could instantly be a more effective work-out by applying this technique once in a while. If you must use your car while grocery shopping, park as far away from the store as possible and use it an opportunity to walk a little extra. Are there stairs in your house? Congratulations! 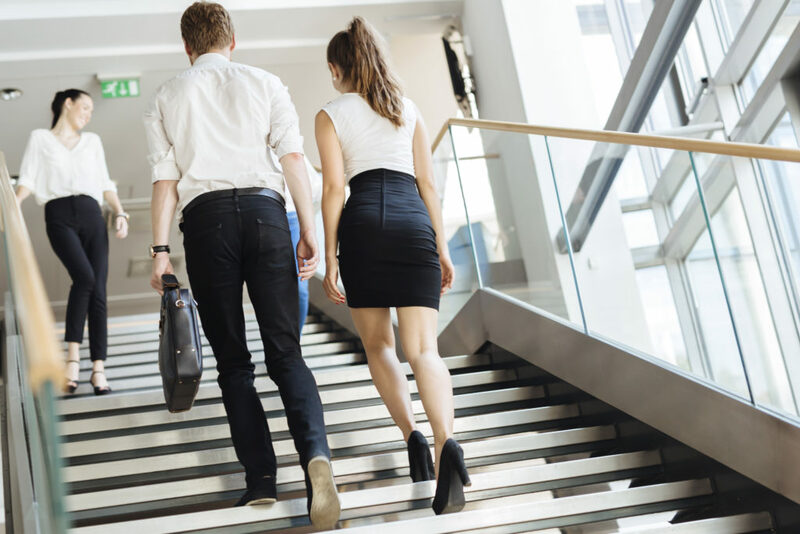 Walk up as quickly as you can, take two steps at a time and vary the way you walk the stairs. Waiting for the pasta water to start boiling? Do some squats while waiting. Avoid long periods of sitting in sofa in front of the TV and try to sit on a Pilates ball instead where you need to activate the abdominal muscles to maintain balance. Enjoy your simple everyday work-out! Heading for a healthy and energy filled autumn! A great summer is coming to an end and it is time to make sure your healthy routines are in place so that you can enjoy the coming autumn filled with energy and confidence. When your body is in good physical shape you will be able to cope with life’s challenges in a much better way. A fit body means more wellbeing, more energy to take on everyday challenges, and the wonderful sensation of being fit – a great confidence booster! Benefit from everyday exercise by taking the stairs, walk or cycle instead of driving or taking the bus, meet your friends for a walk instead of a coffee. Small things like these can do wonders for your wellbeing. But, if you want to improve your fitness level and become stronger you also need to add a few tough workouts every week. No matter what type of exercise you do, it is only when you reach a level where the exercise is no longer within your ‘comfort level’, that you effectively improve your fitness. Plan regular exercise in your calendar, and invite friends to join you. When exercise is a scheduled meeting in your calendar, and other people have it in their calendar too, you are less likely to cancel. And we all know that the best exercise is the one that actually takes place! Emerald Director Maija Grace from Finland knows fitness and training better than most. 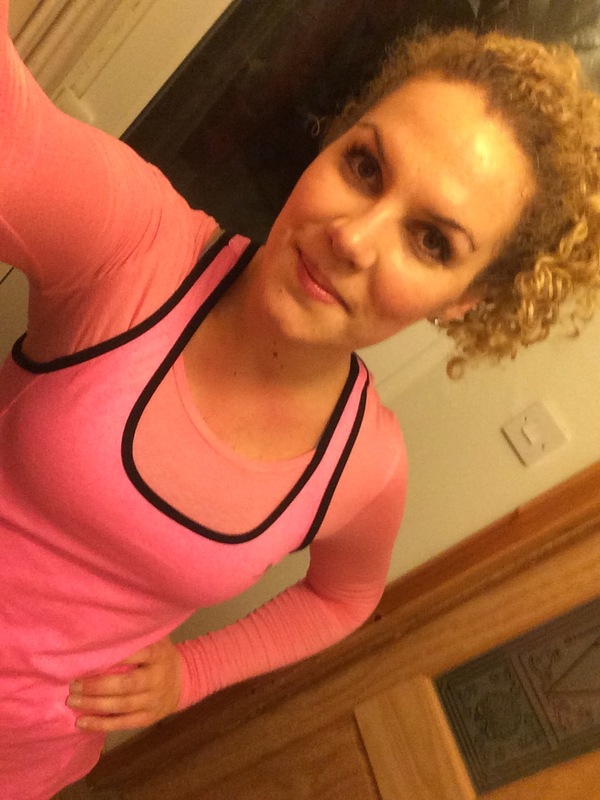 Today she tells us about how she combines her work with training and nutrition with her NeoLife business. I was a fitness instructor for 12 years and have been a personal trainer for the past couple of years. At the moment I still work in the wellness business in Finland but in a slightly different area, teaching people about nutrition and how to optimize their own wellbeing with a diet and the correct supplements suited to their own personal needs (Ihana Elämä Terveysanalyysi). In my line of work it is imperative to have 100% trust in the products and the brand that I recommend to my clients and their families. Fitness is also of course still as a large part of my life. I swim, run and do pilates to keep my energy levels up. It is so important to have a good balance between healthy nutrition, exercise and rest. When I was teaching fitness classes, many of my clients would ask what products I use. And many of these clients are still using the NeoLife products that I recommended to them. One of the favourite products was and still is Kal-Mag plus D. NeoLife shake has been popular with the clients who need to add more protein to their diet. At some fitness events I would take products and brochures along to let people get to know the NeoLife brand and ask any questions. Working with people who are interested in their wellbeing is a fabulous way of marketing NeoLife products. There will be more from Maija on the blog later this week. Let her inspire you to a healthier lifestyle! Curious to know how a body like this is built and maintained, we asked NeoLife Athlete Tomas Bendoraitis to tell us about his everyday life. My day normally starts at 8 a.m. with a breakfast of oatmeal and boiled eggs. 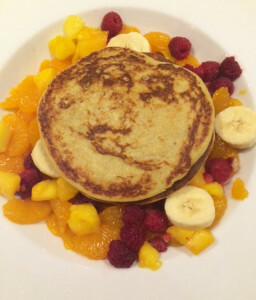 After breakfast my wife goes to the gym. I stay at home to take care of our baby son Bruno while his mom is exercising. When my wife comes home it’s time for me to start my training, which will normally last for about 2 hours. I start at 11 a.m. and finish at 1 p.m., and then I go home for lunch together with my family. Food quality is very important for me and my family, therefore we prefer cooking ourselves at home. I think food is very important, and as an athlete I have to consume good quality food. I’m used to eating healthy and light products, but sometimes I allow myself to eat other food. I just feel that my body wants something different, something that might not be considered healthy, and then I allow myself to have that. But not too often of course. My daily calorie intake is normally 2000-2500 kcal divided over 5-6 meals per day. I normally have 5-6 trainings per week, but when I’m preparing my body for a competition I need to train twice a day. When you are training hard it is also important to let the body recover. NeoLife food supplements help me recover, and I also always try to have a nap during the day. I think motivation comes when you have a goal. I know what it feels like to win a gold medal and that increases my motivation. Actually, I have never had a lack of motivation, because I’ve been exercising since my youth. I love sports and it has become my lifestyle. I think that the key to my success is in my physical qualities; they are genetically predetermined and fit well to my sport. Body building puts a lot of focus on appearance and, yes, appearance is very important to me. I always pay attention to the people’s appearance, especially young people. I think there is always room for improvement and development, but I’m quite satisfied with myself. Of course we all have some weak points, but I keep training and hope to turn my weak points into strengths. It is time for me to give you an update again. My new life filled with exercise has not been a straight journey. But I won’t give up, I continue with my everyday exercise like walking and jogging, mixed with other types of training when I can fit it in my schedule. I continue to eat well and I have also joined a “power walking group” in my neighbourhood. 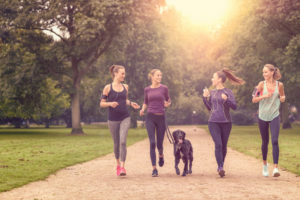 This power walking group is something I want to share with you, because it is such a simple and fun concept that gives many new contacts and connections, and exercise at the same time. A friend of mine who has been exercising a lot, realised in the beginning of April that she rarely had the time to exercise, or to meet her friends. She decided to create the Facebook group “Power walkers” and the first time this group met we were 3 people going for a power walk together. It was so nice to see each other that we barely noticed that we were exercising. The best thing about this group is that there is no obligation; whoever feels like it can join, and members are allowed to invite new people to the group. The last time we met we were 12 people walking together. I have met so many lovely people in my neighbourhood who I would never have gotten to know without this group. So nice! Just imagine what you would accomplish regarding new connections in your neighbourhood if you did something similar! Use your imagination, take initiative and you will get many new contacts for your business. My Easter was filled with near and dear ones, and lots of horses and riding. And now I finally feel 100% well again! It is time for me to pick up the exercise again, but try to be a bit more sensible and keep a better balance with one day for recovery between every class, to avoid making the same mistake again. This week I will do Body pump, Hot yoga, and finally Zumba. I will also get myself a new blender this week and try many new, healthy smoothies! I hope you have found inspiration for your training and, as I have written before, please share in the commentary field to let us know how your journey towards a healthier life is going! 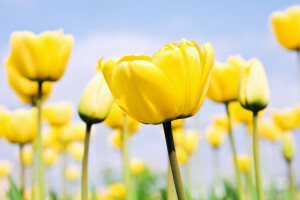 Warm spring greetings to you all! Last week I did a total of five classes at the gym. Everything from yoga and Core to Body balance and Heat. It is great to feel active, and the activity gives me energy in so many ways. But, like all happy beginners I probably did a bit too much and worked too hard, I can feel that now. This week I will take it a bit slower before I head off on our exciting Career Conference tour. I have packed my training clothes and hope to be able to give you glimpses of my training on the road as well. Maybe I can convince George to join me in the gym? What do you think? How did you do? I would love to read your comments! Yesterday was rounded off with a super healthy and delicious – and very green – smoothie type of drink based on fruits and vegetables! Avocado and pear will round off the taste and you can feel how good this vegetable drink is for you! So, the first week of my new training life has passed! The week did not start the way I had planned and I had to spend my evenings in the stable, riding and doing stable chores instead of exercising. But I tried to make it up later in the week and in the end I managed to fit in three training sessions. It was a great mix of running, yoga and Hot flex. I felt very happy afterwards and this week I actually have four sessions planned! I was also glad to discover that I was not completely out of shape. But, it can only get better now. Here in Gothenburg we had a weekend with nice spring weather and lots of sun, and that makes things so much easier! How did you do? Have you also taken steps in the right direction towards your personal “wellbeing goals”? Please write a comment to share your story! PS. I ended my weekend with some healthy banana pancakes. Super easy and so tasty! Simply mix 4 eggs with 2 bananas and add a scoup of NeoLifeShake vanilla. Cook on low temperature. Serve with fresh fruit. Super tasty and healthy! Are you planning to get in shape for Beach 2016? Planning to start as soon as the weather is a bit warmer…? Think again! There is no quick fix; summer bodies must be shaped in winter. And why not start now; winter has so many fun activities to offer! When there is snow you can go skiing, sledding, build a snowman, or challenge your friends in a snowball fight. And of course shove snow; a great way of being useful and burning calories at the same time. 30 minutes of snow shovelling can burn up to 200 kcal. When there is no snow you can try ice skating; a fun activity for the whole family that will improve your balance, strengthen your legs and core muscles, and burn almost 370 kcal per hour. 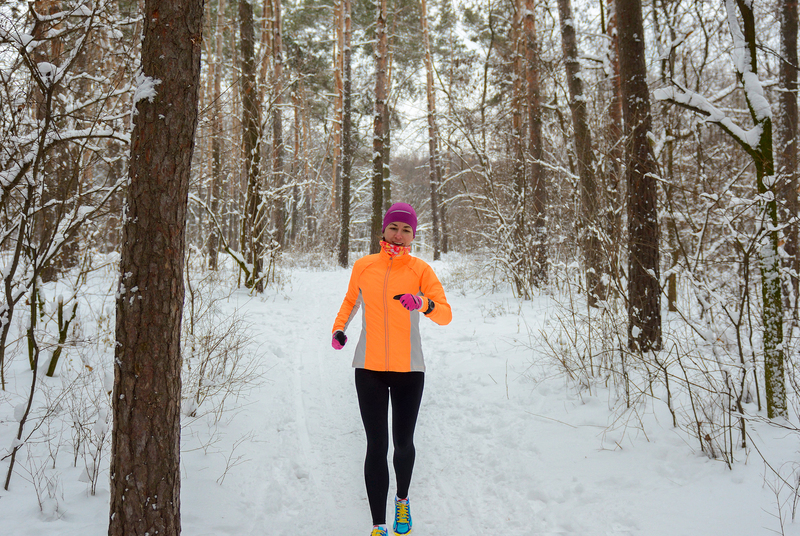 If you like running or walking, that is a great activity also during winter. Outdoor running/walking can actually burn more calories than the same activity on a treadmill. Your body uses more energy to keep exposed parts of your body (face, hands etc.) 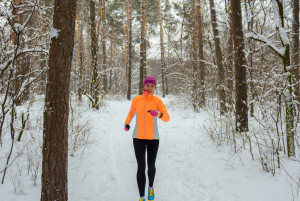 warm when you exercise outdoors on a cold winter day. The wind also offers more resistance and your body has to work harder to run or walk the same distance. Running on a treadmill is easier because you know that the surface you put your feet on will be the same for every step you take. When you run outdoors you have to keep focused and adapt to the terrain, and fact is that the rougher the terrain, the more calories you burn. So think twice before you chose the warm comfort of the gym before fresh air and rough terrain.